Nelson Mandela once said, “There can be no keener revelation of a society’s soul than the way in which it treats its children.” While some nod resignedly at this truth, others make it their life’s mission to create a little corner of the world where children know that they are a priority… that they are worth it. In Panama City, that corner is called the After School Assistance Program (ASAP), a refuge where children are cared for, encouraged, and celebrated. Last October, hundreds of people demonstrated their commitment to area children by attending the kickoff of ASAP’s Capital Campaign, Building One Positive Place, at the Edgewater Beach & Golf Resort. 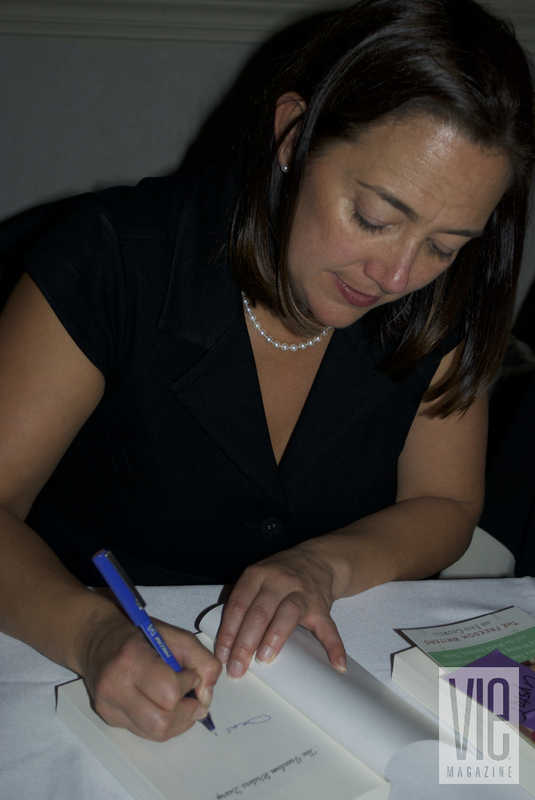 Appropriately, the keynote speaker for the evening was Erin Gruwell, a teacher whose story about transforming the lives of a class full of “throwaway” teenagers in California was so compelling that it was turned into the major motion picture Freedom Writers, starring Academy Award–winning actress Hilary Swank. Gruwell shared the stage with hosts Barbara Clemons and her son, Panama City Mayor Scott Clemons, representatives of a family who have been at the very heart of ASAP since its inception. But the real stars of the evening were children, past and present, who embody an opportunity for us as a society to change the world by reaching out to its most vulnerable members. 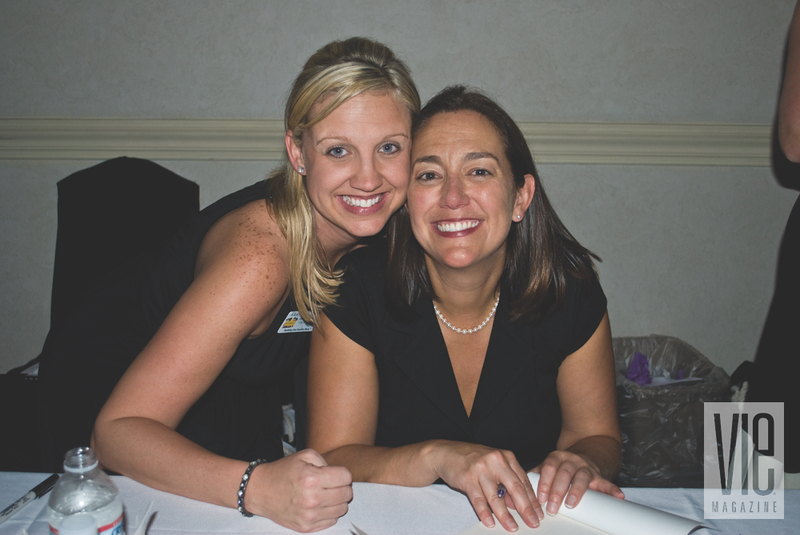 School should be one place in which children are valued and protected, but that wasn’t what Erin Gruwell encountered when she accepted a teaching position at Long Beach, California’s rough-and-tumble Wilson High School in the early 1990s. Instead, she was greeted by an administration that believed the teens in her class were “unteachable.” Rather than dissuading her, the shameful attitude unleashed a desire in the idealistic young English teacher to prove them wrong. First, however, she had to break through the walls erected by students whose high school was reeling from racial tensions, drug use, and gang activities and who had seen more in their short lives than most ever will. Gruwell recounted for the audience how dismally her initial attempts at instilling a love of literature were received by kids who walked through the doors of their school every day with broken lives, criminal backgrounds, and a sense of hopelessness about their futures. Their daily fight just to stay alive left little time or desire for schoolwork; not surprisingly, they had the lowest scores in the entire school district and had long before been written off by anybody in a position to help them. Gruwell started with what her students had in common—a hatred of reading, writing, and her—and began looking for ways to bring literature to life for them. She had a hunch that if they could uncover the rich truths embedded in some of the world’s great books, they would begin to see themselves differently. The lightbulb moments weren’t a result of carefully laid plans; rather, they arose naturally from the kids’ deeply rooted prejudices and pain. One such incident occurred after Gruwell discovered a racist cartoon starring a fellow student, and warned her class that such hate-filled propaganda had led to the Holocaust. Silence descended for a long moment before one student raised his hand to ask, “What’s the Holocaust?” Gruwell soon learned that not a single student could answer the question. They had never heard about one of the world’s greatest atrocities, yet the same forces of hatred, violence, and racism were shaping their lives. She made an easy yet momentous decision to make history’s heroic lessons of tolerance and diversity the cornerstones of her curriculum. Another tactic designed to promote self-discovery was assigning to her students the task of maintaining journals in which they would write about their thoughts, feelings, and experiences. Sure enough, kids hardened by a lifetime of living in an urban war zone began to relate their experiences to classics like Anne Frank: The Diary of a Young Girl, which made the dangers of racism real and taught them about the freedom that comes from picking up a pen rather than a gun. Unbeknownst to her or her students, the compilation of these journaling assignments would change their lives forever. Believing that she was simply indulging her students by sending the book they had created—dubbed The Freedom Writers Diary in homage to the civil rights activists known as “Freedom Riders”—to several publishing companies, the colorful stories of Room 203, instead, captured the attention of the publishing world. They also resonated with readers, who snatched up more than one million copies and sent the book to number one on the New York Times bestseller list. A successful film chronicling the Freedom Writers’ story soon followed. Gruwell took immense pleasure in relating how successful those “unteachables” had become in the last decade and a half: going on to college, starting families, and launching careers that brought a few back into the classroom—as teachers this time. Gruwell and her former students also created the Freedom Writers Foundation and have traveled the world sharing their inspiring story. 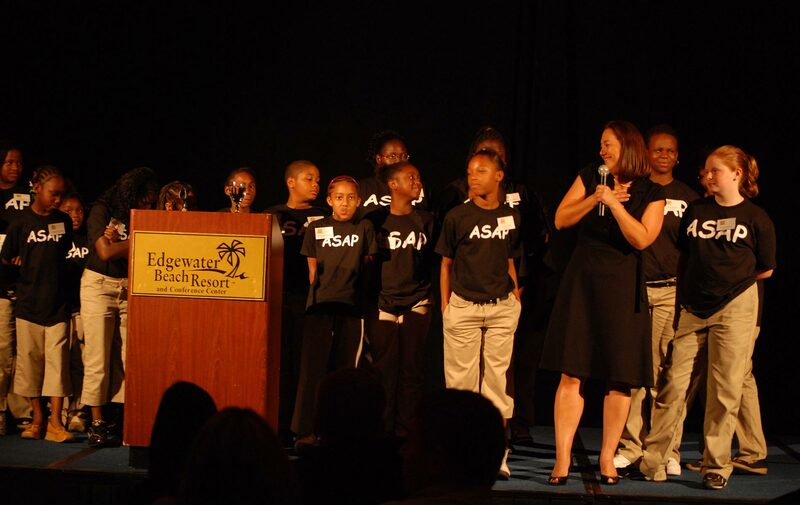 Around the same time that Gruwell was working to reinvent the lives of her students, a new organization called ASAP, whose mission was to provide learning opportunities and a safe after-school sanctuary to low-income children in Bay County, took shape in Panama City. The program provides tutoring, constructive activities, and life skills, while the families of its members can take advantage of seminars on parenting, support groups, GED classes, and career counseling. The good news is that word of the program’s unique assistance has spread to those who may benefit most; the bad news is that so many at-risk youth have sought the services of ASAP that the building can no longer fulfill the need. At the fund-raising event, Capital Campaign Chairpersons Kelly Forehand and Lisa Powell Ashley tearfully explained how children line up outside of the current center because there’s no room for them inside. That sad image drives organizers to reach out to donors like the ones gathered in a ballroom at the Edgewater Beach Resort, seeking funds to construct a new 4,000-square-foot facility to serve 130 youth—a 400 percent increase over its current capacity. The Clemons family needed no prodding to lend their voices to the campaign, as they’ve been among ASAP’s most dedicated supporters during the last seventeen years. In heartfelt testimonies, friends lauded the evening’s hosts not only for their financial contributions, but also for their hands-on involvement. Early in the organization’s history, for example, it wasn’t unusual for Mrs. Clemons to give ASAP students swimming lessons in the bay behind her house or to hold etiquette sessions, using china and silver at the family dinner table. It’s because of this single-minded determination that a cadre of over forty mentors now give their time to ASAP. Much in the same way that the Clemons family have taught by example over the years, Gruwell has also silently imparted lessons and ideas to ASAP leaders. Among the initiatives they have borrowed from the resourceful teacher was that of presenting composition notebooks to kids in the program so they can chronicle their own stories. Throughout the evening, the ASAP students carried those prized notebooks with them, gathering autographs and recording their impressions of the event within the pages. In a display of the extraordinary confidence they’ve gained through their experiences with ASAP, each child served by the program joined a table of supporters, whom they had never met, to introduce themselves and talk about the center that they love. Prior to the dinner, the students also met with Gruwell, and carried a spark of inspiration from that encounter with them throughout the night, clearly ready to move ahead with the business of achieving their dreams. Perhaps even more important than the funds that were raised that night was the sense of hope and purpose that permeated the crowd. No matter their level of commitment before the kickoff, through the life-altering stories they heard and the kids they met, those in the ballroom were left with one objective: building “One Positive Place,” wherein the generous, caring soul of Panama City will be revealed. For more information on The Freedom Writers Foundation, visit www.FreedomWritersFoundation.org. To learn more about ASAP, please visit www.asappanamacity.org.